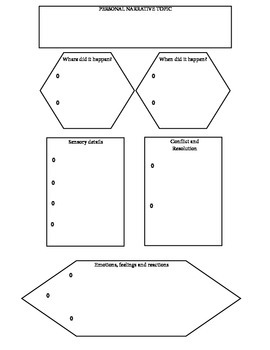 Here is a great way for your students to visually map out his/her narrative essay. 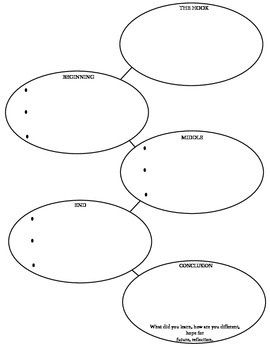 Includes mapping out the beginning, middle, end. Also includes areas to brainstorm conflict and resolution. Sensory details, setting, and more.